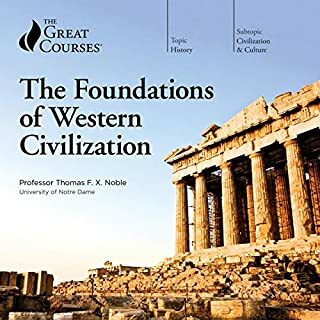 In this course, Thomas F. Madden offers a history of the culture that developed out of the ancient Roman Empire throughout the Middle Ages. 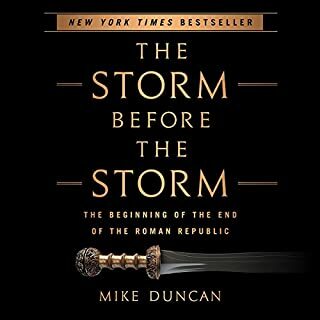 The story begins at the end of the Roman Empire in the third century AD and continues over the next 1000 years. Professor Madden leads a discussion covering the aftermath and influence of this extraordinary empire. Europeans now saw a world in which nothing stood between them as the last remnant of free Christendom and the ever-growing powers of Islam. 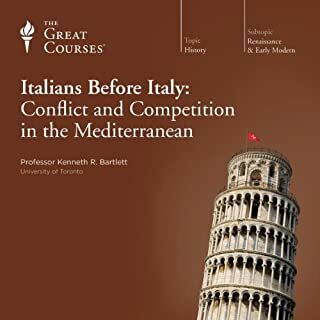 In this landmark study of Italy from the 14th through the early 16th centuries, Swiss historian Jacob Burckhardt chronicles the rise of Florence and Venice as powerful city-states, the breakup of the medieval worldview that came with the rediscovery of Greek and Roman culture, and the new emphasis on the role of the individual. All these, Burckhardt explains, went hand in hand with the explorations of science and the more naturalistic depiction of the world in art and literature. As remarkable as Columbus and the conquistador expeditions, the history of Portuguese exploration is now almost forgotten. 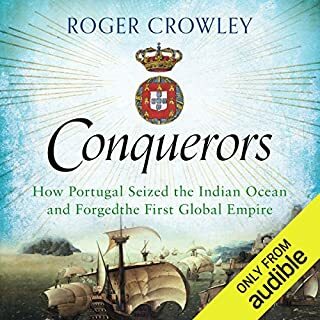 But Portugal's navigators cracked the code of the Atlantic winds, launched the expedition of Vasco da Gama to India and beat the Spanish to the spice kingdoms of the East - then set about creating the first long-range maritime empire. Renowned professor Thomas F. Madden focuses his expertise on what has been called the most beautiful city in the world: Venice. 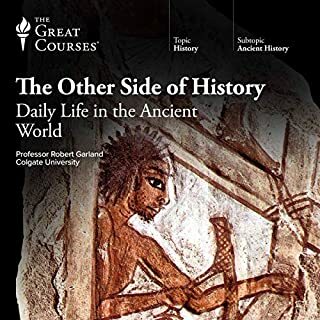 In these lectures, Professor Madden explains how the city on the lagoon was established by refugees escaping the onslaught of northern “barbarians” invading the crumbling Roman Empire. Through its history, Venice housed the world’s leading merchants, thrived as a maritime powerhouse, and developed into an independent republic not unlike the present United States. Venice draws millions of visitors each year, and these lectures shed light on why the city is such a continual source of fascination. Recommended; very interesting and clear. Has the advantage of both giving the history of Venice and placing it in the general picture of European history. A BIG minus for the professor's pronounciation of Italian names and placenames, sometimes just annoying, but a lot of the time downright impossible to decifer, especially when dealing with less famous historical characters. And why should it be so difficult for a scholar to learn how to say 'Veneto' properly?? VEneto, not VenIIto. Please! 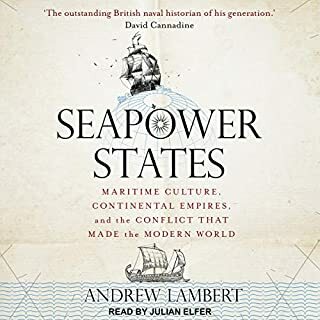 Still, apart from this, nicely read, and very informative. Good information in terms of historical accuracy and chronological order of events. 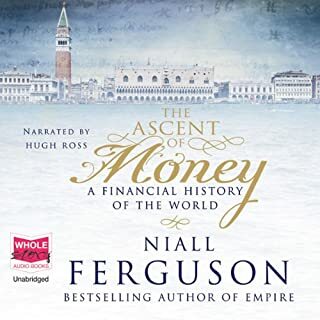 I especially appreciated the in depth look at the Venetian monetary system. 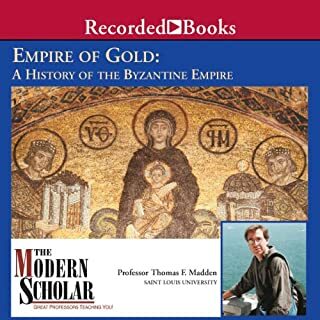 Prof. Madden gives an excellent introduction to the long & important history of Venice's role in the commerce, diplomacy & military affairs of the mediterranean. Venice is a beautiful city but it has an equally fascinating past. Only slight criticsm is that would rather hear a bit more on the culture, economics & customs of the people at the expense of dynastic succession details. Lecture titles below. 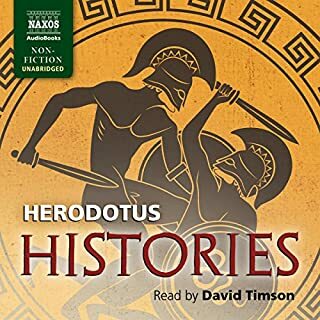 This might be my favorite history course on Audible. Fascinating lectures about topics I wasn't very familiar with. 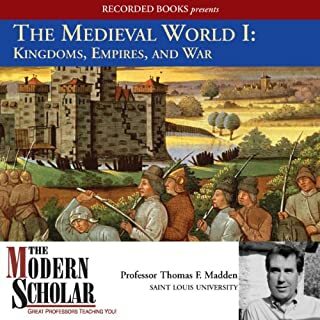 If you are interested in Italy, the early middke ages, the crusades, etc. I would recommend It. 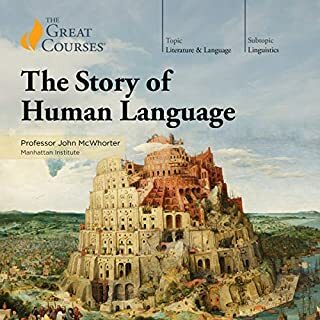 The lecturer is great and easy to listen to without being boring at all. Great preamble to my upcoming trip to Venice! Wow! Venice has the most amazing, influential and seedy history, I had no idea. This professor is very good at explaining a fascinating subject. 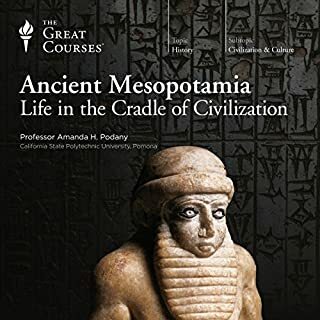 One of my favorites under the Modern Scholar Michael Drout lectures. I wish there was more. I really enjoyed hearing this college lecture series on the History of Venice. I was very interested in the subject, and this aduiobook helped feed my hunger for stories and details about the amazing city. This book is a great place to start, but follow it with "Venice: Pure City" by Peter Ackroyd -- that is a truly remarkable book about the fascinating history, ancient beauty, and timeless wonder of Venice. An amazing book on the history of Venice. Perfect for anyone who wants to visit. I would love if he did this series for several European cities. 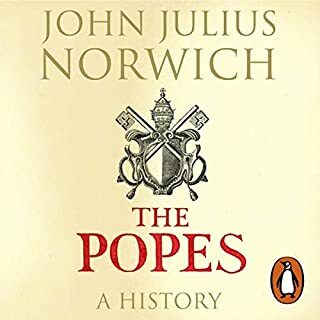 I would liked to have heard more about the history of the Jews in Venice because I think that was a little white washed. Having been to Venice many times. It amazes me to realize how little I had previously known about its history. This lecture series has been greatly satisfying. I would recommend it to anyone, even those who haven't been there. But do try to see it. 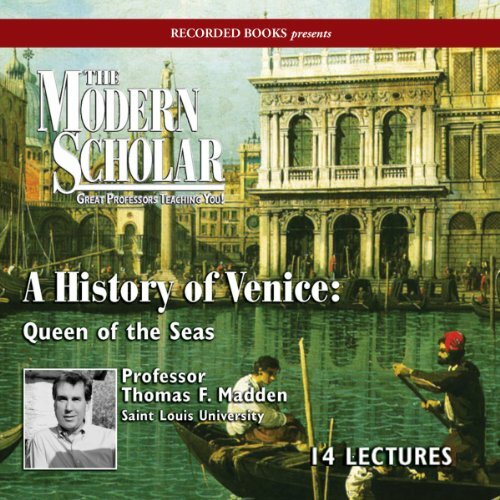 Would you consider the audio edition of The Modern Scholar: A History of Venice to be better than the print version? 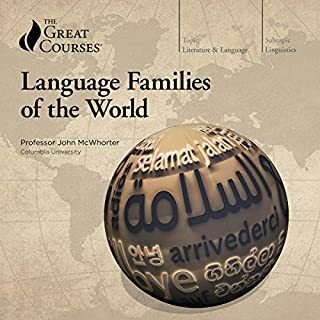 I always love audio version of lectures. Because I don't have much time to sit still and hold my books. I have some expectation when I visit Venice someday thanks for this lecture. I will not just enjoy the scenery, but perceive the city that has fascinating ancient history, with all that unique and antique beauty. Would you listen to The Modern Scholar: A History of Venice again? Why? Selected chapters would be worth a review. 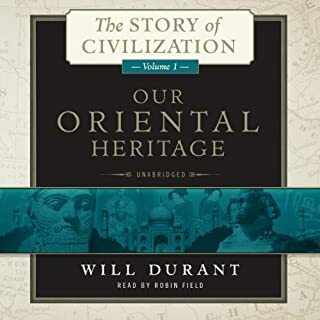 The story of Venice as told in this audiobook has connected the dots of my understanding of European history, the Byzantine Empire, Napoleon, the Ottoman Empire and much much more. What was one of the most memorable moments of The Modern Scholar: A History of Venice? The moment when, faced by the firepower of 18th century naval ships, Venice realised that the lagoon no longer offered the protection that drew the first Venetians so many centuries earlier. 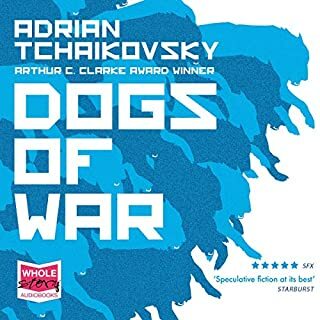 What three words best describe the narrator’s voice? A very superficial old-fashinoned history. This doge did this and that doge did the other. Clearly designed so that you'll "know" what you're seeing on a brief visit to this fascinating city. 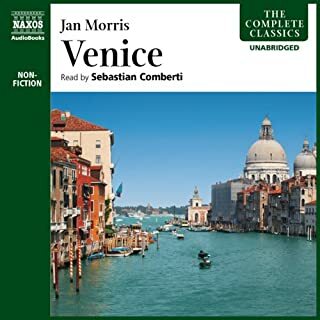 What made the experience of listening to The Modern Scholar: A History of Venice the most enjoyable? Easy to listen too yet enough depth and details to make it hard to put on pause. I liked the small details that he manages to add to the otherwise high-level story line. What did you like best about The Modern Scholar: A History of Venice? What did you like least? It was very informative, but listeners should be warned that it is very much like listening to a class lecture. Could you see The Modern Scholar: A History of Venice being made into a movie or a TV series? Who should the stars be?